Trumpet-playing hippos, snakes drinking cocktails and parrots on piano are not everyday sights, but these colourful characters are having a party across the reels of the Jungle Adventure video pokie from EGT. A fun cartoon style brings the game to life, while livening up the gameplay are such features as a high-paying wild symbol, free spins with a rewarding monkey on the reels, the option to gamble wins and the Jackpot Cards progressive feature common to all games from this developer. With 5 reels, symbols in 3 rows and 10 paylines, it’s a conventional layout, where standard wins are created by matching symbols landing across a line in an unbroken row from the left side. There’s nothing unique about this set-up, and what will attract players to this game is the great design, assuming they like cartoons. Along the top of the reels, they will see the Club, Diamond, Heart and Spade levels of the Jackpot Cards progressive feature, while underneath them, the control panel is used to set wagers from the low limit of 0.10 to the maximum of 100.00 a spin, with all 10 lines permanently active. 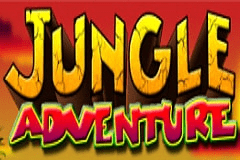 Free Jungle Adventure video pokies can be practiced at most casinos. At the bottom of the pay table we see a couple of fruit symbols, which along with a coconut cocktail will be worth wins of 5, 20 or 100x the line bet when landing across 3, 4 or 5 reels on a payline. The drunken snake and a chameleon DJ are both worth 10, 50 or 200x and like all the animal symbols, when they become part of a win, there’s a short animation as they have a little dance around. Higher-value symbols only need to land on reels 1 and 2 from the left side across a payline to make up a winning combination, starting with the parrot, who’s worth between 5x and 250x, while a maraca-shaking rhinoceros is valued at up to 500x and the hippo pays out up to 1000x for full lines. The lion is king of the jungle, and he’s dancing away, blinged up with a gold chain and designer sunglasses. Landing this cool cat on 2 reels will be worth a win of 10x the line bet, while 3, 4 or 5 lions pays out 100, 1000 or 5000x respectively. Respect! Not only is the lion worth a fortune, but he’s also appropriately cast as the wild symbol of this game, able to act as all others, with the exception of the lemur, if he can then complete a winning combination or extend a win across additional reels. The lemur is busy making cocktails, but he’s also needed to trigger a bonus game, with 12 free spins beginning whenever he lands on 3 connected reels running from the left side. Extra treats can be served up during the bonus spins, as a bongo-drum playing monkey can land on the middle reel, and when he does so, the value of any win from that spin will be doubled. The free games cannot be retriggered though, so once they are done, players return to the base game. If the randomly-awarded Jackpot Cards round starts, players will be shown 12 face-down playing cards and will need to click them to reveal the suits. Once 3 of a kind have been found, the progressive jackpot linked to that suit will have been won, and values range from the smaller Club, to the top Spade award. Players have the option of taking a double or nothing gamble with any win of less than 700 coins. A playing card, flashing between red and black is shown, and the aim is to click a button at the right time to match the suit. If the gamble is a success, there’s a further option to collect the doubled prize or try to double it over and over, but a wrongly-timed pick at any point loses the triggering bet along with anything earned so far in the round. A fun theme, nice animations and vividly-coloured symbols make the Jungle Adventure pokie a great-looking game. Although the layout is conventional, and much of the bonus features are also nothing unusual, the addition of that multiplier symbol in the free spins game could be enough to have players beating a path through the jungle of other games, straight to these cheerful reels. 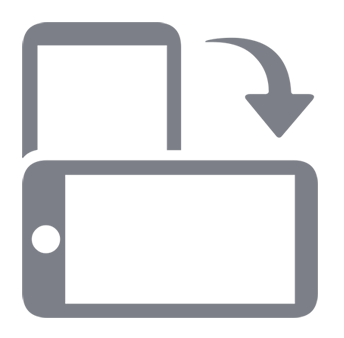 Like many EGT casino games online, it’s not mobile-optimised unfortunately, but other than this issue, there’s a lot to recommend about it, and players at desktop-based online casinos are sure to enjoy joining the party.